The economy is booming. The market is in full swing. But investors are getting antsy about the future. 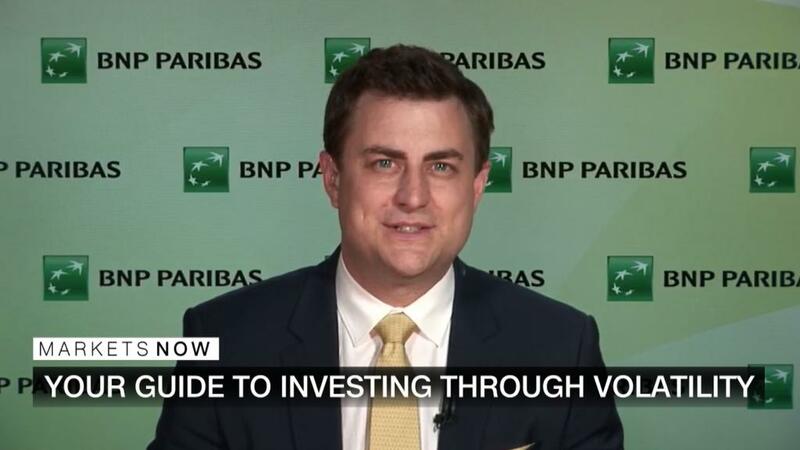 "As we're talking about equity markets, these are the good times," Bricklin Dwyer, senior economist at BNP Paribas North America, told CNN's Richard Quest on "Markets Now" on Wednesday. "These are the peaks." The economy has also been heating up. Dwyer expects robust GDP growth in the second quarter, predicting that quarterly growth could reach around 4%. Investors are embracing the positive environment, he said. But they're preparing for a downturn. The sentiment among investors, he said, is "take advantage of what's happening now, but put something in your pocket." Dwyer thinks that economic growth will slow as initial savings from the new tax law fade and as the global trade war heats up. Some companies are already getting hit by the Trump administration's tariff. GM (GM) shares fell 6.5% in midday trading, and Fiat Chrysler (FCAU)'s stock plunged nearly 15% after the companies provided weak outlooks for the rest of the year due to rising steel and aluminum costs. For now, Dwyer said, the trade war is "not going to derail the US economy." But escalations could accelerate a recession. Investors need to "be ready for the downturn that's probably right around the corner," he said. CNNMoney's "Markets Now" streams live from the New York Stock Exchange every Wednesday at 12:45 p.m. ET. Hosted by Quest, CNNMoney's editor-at-large, and others, the 15-minute program features incisive commentary from experts.